Highrise Digital are specialists at integrating LogicMelon with WordPress, taking care of getting you up and running with jobs appearing in WordPress and candidates being tracked back to LogicMelon. In your LogicMelon account, you will see your WordPress website added as a job board destination. 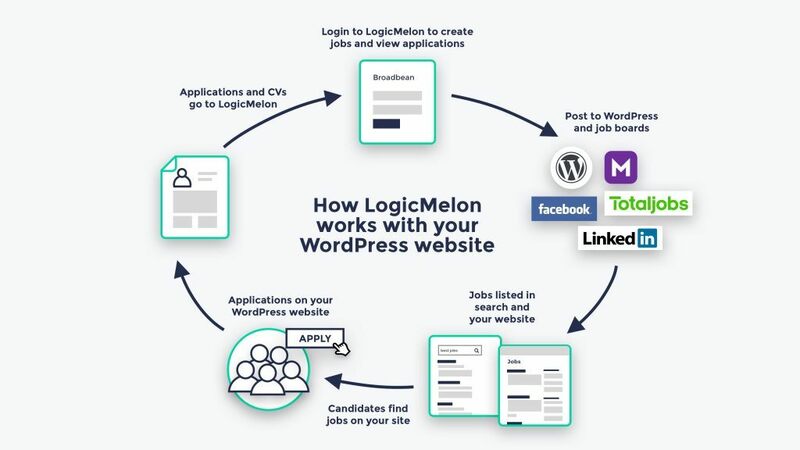 Jobs created in your LogicMelon account are sent to all your destinations, including your WordPress website and display there. Candidates can apply directly for jobs from your WordPress site on customised application forms that have the same look and feel as the rest of your site. Applications appear in your Broadbean account along with other applications from other sources. We handle all the technical details with Logic Melon giving you peace of mind. We create a clone of your site which acts as a test environment where you can get familiar with how things work and request any job or application styling changes before going live. We add an endpoint to your WordPress website. This is essentially a URL to which LogicMelon can send the data about a job. We add code to the endpoint that receives the data, processes it and turns it into a job post. Job category archives listing all jobs from a specific category as well as a single job template which show the information about a single job. We communicate with LogicMelon the specifics of how they should send the data to your WordPress site, including the format the data should be in and the data types that should be sent. Once LogicMelon has produced a feed to send jobs to your site, we fully test this is working for you and that applications are tracking back to LogicMelon. Is an integration a standardised service or bespoke to a client? What do we need in order to complete an integration? This often varies depending on your needs but the basic requirements are that you are running a WordPress website and have a LogicMelon account. In addition to this, we need to be provided with access to your WordPress admin panel, and usually your hosting account in order to access the code base (via FTP) and database so we carry out the integration. If you are not sure what these things are we can talk you through it. As with all development that we do at Highrise Digital we use professional tools and techniques, such as version control and deployment techniques to ensure our development is safe. Timescales vary depending on the specifics of your integration and any bespoke customisations you might require. The total length of time is usually dictated by LogicMelon and the time it takes them to prepare the data feed at their end. Typically this takes them around 4 weeks, so you can use that as a rough guide. We are usually able to complete our work with that window. 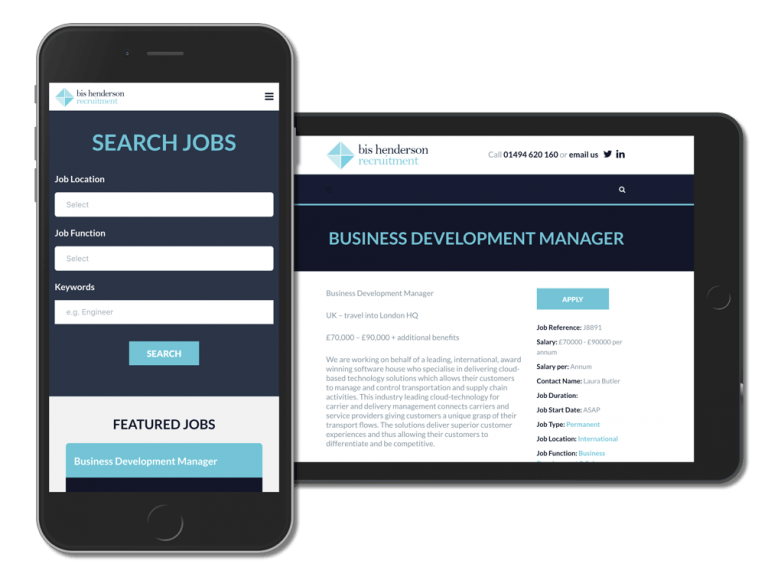 Bis Henderson came to us to integrate their existing WordPress site with the Broadbean recruitment software, which is similar to LogicMelon. We added a jobs section, allowed jobs written in WordPress to the posted to their site and applications made on their site to be tracked back to Broadbean.